Facebook launched canvas ads in 2016 with the statement above in mind. More than one billion people worldwide use mobile phones as their main platform for online interactions. Canvas ads are a genius and simple way to reach these users. 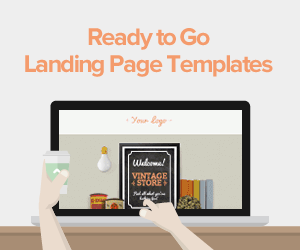 They offer users a more personal and immersive experience with your brand. All the ads are hosted on the Facebook app. On testing of the pilot program, it showed that 53% of the viewers watched at least half the ads some of which were more than 70 seconds long! There are several Facebook canvas examples that prove this point. They are speedy and the easiest way to use mobile advertising tools. Even better, you do not need to pay advertising fees; you can just share it organically on your page. 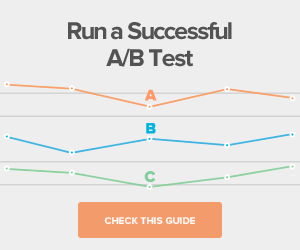 How do you Create Great Canvas Ads? So where do you start? The following is a simple step by step guide on how to create amazing canvas ads. Ask yourself: What do I want to achieve through the canvas ads? Do you want to boost sales? Increase email subscriptions? Create awareness about your brand? Direct users to your website? 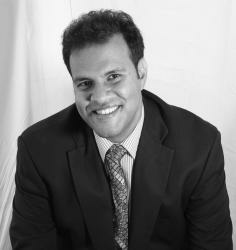 Knowing the goal of your ad will help you put it in perspective during the creation part to help you achieve the goal. Be very clear and concise about this because every action on your canvas should lead users specifically to that goal. 2. A + sign will appear. Click on it. 3. Click on blank canvas. At this point, you’ll begin the editing so get your creative socks on. You can start adding different elements to your ad like color, text, call to action (CTA) buttons, image carousel, backgrounds; the list is endless, but you can get as creative as you wish! If you’re not quite sure where to start, you can look at other canvas ads for some inspiration. Make it an of extension to your website. 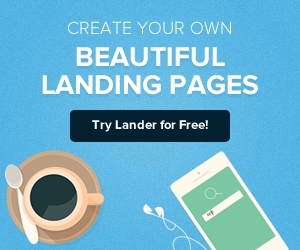 Lander is great at creating exceptional landing pages that viewers of your ad can immediately “land on” when they click the call to action to your website. 4. You’ve now created your canvas, click on save. Note that you cannot go back and edit your ad at this point so you have to be very satisfied with what you have. Upload your ad on your Facebook page as a post. Duplicate it and edit it to make changes on components you may not like. If all this seems too complicated or maybe you’re just like, “I don’t have the time”, no worries. 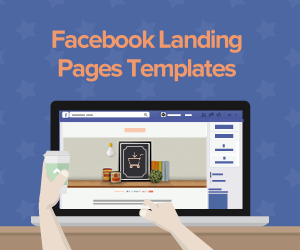 Facebook rolled out templates that make creating your canvas ads as simple as blinking an eyelid. 1. Follow the first two steps above. 3. Select the objectives/goals you settled on for your canvas and insert your elements in the layout like headers, logos and anything relating to your brand. NOTE: Always use the same branding elements like logos for all your online marketing for easy recognition. 4. That’s it. You’re done!! After creating your canvas ads, you may want to share it organically but if you want to turn it into an ad, you can use PowerEditor or Ads Manager for the best results. Pick the tool which will work best for you, especially one which is easy for you to use. • Accompany your video with texts and images. Make sure you fully utilize all the features of this great tool. • The first image your viewers see is important! Remember the users are on their phone, chances are, they won’t follow up on something boring and uninteresting if you do not capture their attention in the first few seconds. Make them count! • Feed the user’s curiosity. Make them want to know, what will happen next? I need to follow this, I need to subscribe to this, I need to visit this website. Make them want more of what you’re offering. • CALL TO ACTION - see what we did here? Bring attention to your CTA, make it shout loud. Use a different color on it, make it large (but not too large), and make it pop! You don’t want users to watch your ad then miss your call to action altogether cause you tucked it safely away in small print somewhere in a corner. TIP- Place your CTA at the beginning of your ad, you don’t want to risk a user not watching your ad to the end if you placed it there. • Keep it simple. Need we explain this? Yes, you’ll fell overly excited and want to add all the bows and ruffles but take a deep breath and relax. Keep it simple. You don’t want to overwhelm the user. Make the ad clear and uncomplicated without too much clutter. The visuals- both video and images on this ad are great. The CTA’s are perfectly placed. You can clearly see the objective of the ad throughout the video and by the time you’re done, you’ll vow to always travel by Air France. Target’s ad uses a great tool that allows users to have a “target experience” that is to mix and match and choose a look that suits them while at the same time showing their wide range of products. A charming story about Divine, their range of anti-aging products is the opening of L’Occitane’s canvas ads. It is then followed by powerful visuals of the product’s ingredients tour accompanied with a well-placed call to action. Facebook reported that this ad had an 11% increase in ad recalls. Gatorade commissioned 21 new designs for a mural in New York following Serena William’s 21 Grand Slam Title in 2016. The first canvas ad they did gave viewers an exclusive look into the making of the project. This was quite powerful and you can imagine being able to get that kind of leverage just through a simple ad that would have otherwise cost an arm and a leg to market. After looking at these Facebook canvas ads examples, you will get the inspiration you need to create your own canvas.